The world of work has changed. People in previous generations tended to pick one professional path and stick to it. Switching companies every few years wasn’t the norm, and changing careers was even rarer. Today’s career trajectories aren’t so scripted and linear. Technology has given rise to new positions that never before existed, which means we are choosing from a much broader set of career options. We don’t discover and apply for jobs the same way anymore, and employers don’t find applicants the way they used to. Isn’t it about time we had a playbook for navigating it all? 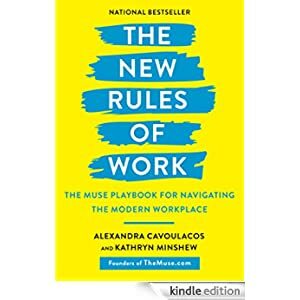 Kathryn Minshew and Alexandra Cavoulacos, founders of the popular career website TheMuse.com, offer the definitive guide to the modern workplace. Buy it today for only $1.99.